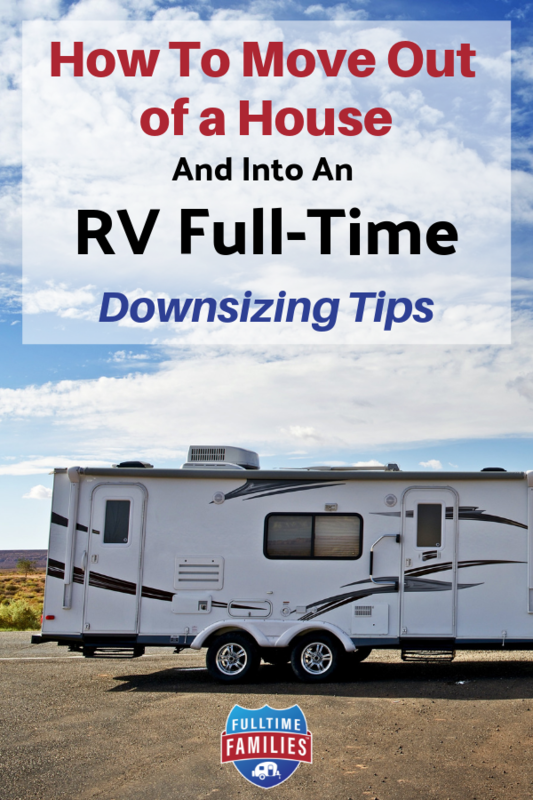 During the process of transitioning to full-time RV life, one of the very first things you’ll need to do is downsize and simplify. After all, an RV might feel huge as you’re driving it down the road, but when it comes to living in one, even the biggest RVs with the most slides can feel teeny tiny. Unfortunately, many people find the idea of downsizing daunting. 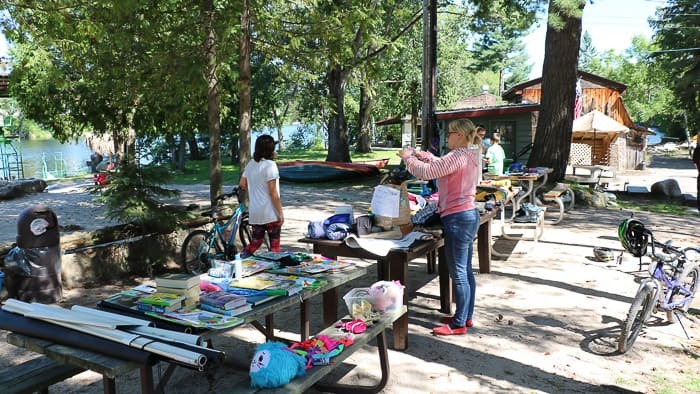 They take one look at all the stuff they’ve acquired through the years and feel completely overwhelmed as they wonder what they should keep, what they should get rid of, and where to store things they can’t keep in the RV. If all of that sounds familiar, this is the article for you. 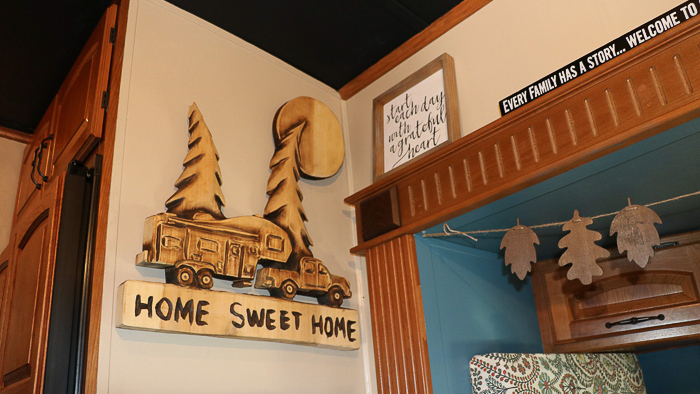 Here we will discuss the ins and outs of simplifying your life for RV living, so you can feel the sweet freedom of leaving the stuff behind for a life of adventure. Let’s begin by discussing purging. This is probably the most stressful part of downsizing as it means getting rid of the things you’ve likely held onto for years. What we’ve found is that it’s best to take this process one step at a time, breaking it down into little pieces rather than looking at it as a whole. Start in one room, open one drawer or cabinet, and sort through the stuff there. As you come across each item, ask yourself if it is truly useful to you in your day-to-day life. If it is, put it into a “keep pile”. If the answer is “no” and if the item is not an important paper or sentimental piece, it should go immediately into a “donate”, “sell”, or trash pile depending on what it is. 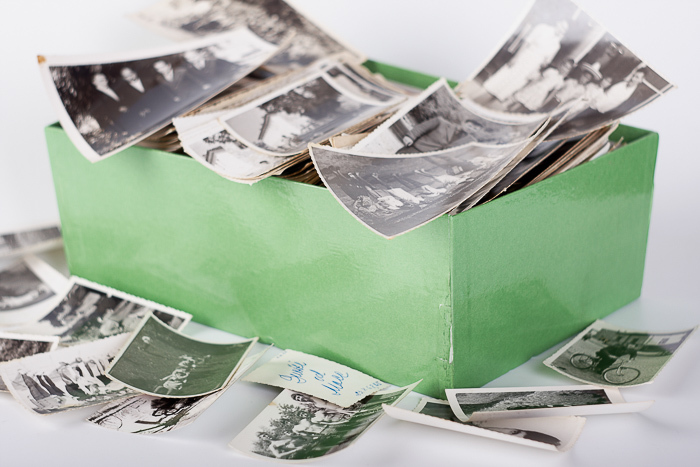 Important papers and photos should go into a pile of their own, as should sentimental items. Some items may strike you as being potentially useful “down the line.” In these cases, you’ll almost always want to get rid of the thing in question. Anything that isn’t used on a weekly basis probably doesn’t deserve your valuable storage space. Besides, most things can be replaced pretty easily if you do find you need said item in the future. With every storage space in the first room cleaned out, take a look around that room and sort through any stray items that may be on the countertops or floor. Wrap up that room by tossing the trash pile and donating anything in your “donate” pile, then move onto the next room, using the exact same process to clean through each and every item. Once your entire house has been sorted through, you should be left with items to keep, items to sell, a stack of important papers, and a collection of sentimental items. Getting rid of the “sell” pile is easy enough to do and can make you some extra cash, giving reluctant sellers some motivation. You can choose to have a yard sale to get rid of this pile, or you could list those items on Facebook or Craigslist. As far as sentimental items go, start sifting through the collection again. Consider how you would feel about parting with each item. Would a photo or scanned copy of the thing suffice? If not, could you put it in storage and part with it temporarily? Do you have a loved one who might keep and care for the item for you? As you ask yourself these things, make smaller piles by sorting the sentimental items according to what you will do with them, then hand off things you won’t be keeping as soon as possible in order to keep it quick and painless. At this point, your “keep” pile should be fairly small. Go through this pile again and be brutally honest with yourself, asking yourself if you truly need to have each item. Make sure to get rid of doubles of things such as cooking utensils and hairbrushes, cut back on things such as craft supplies, and remember that if things are lost or broken, they can always be replaced. As you go through things you will probably come across an enormous number of important documents, as well as hard copies of photos. Many of these documents and all of the photos can be scanned and stored digitally using a scanner such as this. This will save a ton of space and cut down on the weight of your rig. When storing documents digitally, be sure to save them in multiple places. For instance, some people choose to keep these important papers on their computer and a thumb drive, as well as saving them somewhere in the cloud like Dropbox. Some documents which you’ll want to keep hard copies of include the titles to any vehicles or other property you own, your passports, social security cards, birth certificates, other forms of ID, and insurance verification. That said, it doesn’t hurt to have digital copies of these items as well. These should all be stored in a fireproof container in a cabinet in the RV. If you prefer to keep hard copies of some photos, consider purchasing some boxes such as these to keep them safe during your travels. As mentioned before, you do have the option of leaving some stuff in storage. This is a great option for those who are hesitant to get rid of certain items. 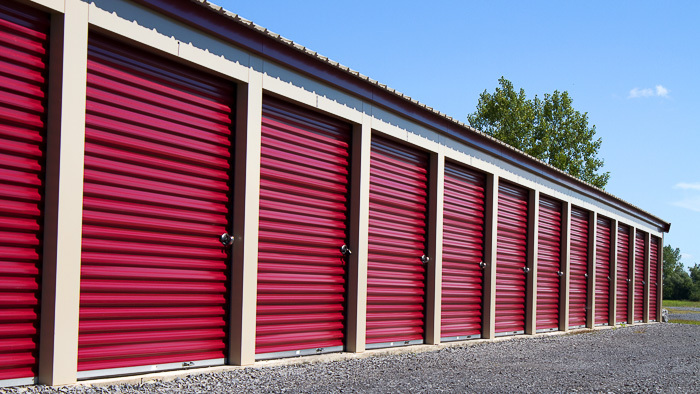 That said, unless you have a family member who is willing to offer you storage space, you will want to consider the cost of keeping a storage unit before making this decision. The boxes mentioned above are perfect for keeping photos safe in a storage unit. Meanwhile, a bigger fireproof safe can be used to leave some important documents behind if you wish. Vacuum bags are awesome for saving as much space as possible when putting things into boxes to store, and they also help keep pests at bay while helping to keep moisture off of fabrics. That said, you will want to add some mothballs to each box to ensure the bugs and rodents leave your stuff alone. Additionally, including some Damprid will help prevent mold and mildew from cropping up while you’re away. Furniture bags are great for protecting big pieces. All smaller items should be sorted well and kept in tight-sealing boxes. All boxes should be labeled to make finding things easy when you return. Some items are very useful in day-to-day life, but are too bulky to be practical for RV living. In many cases, these bulky items can be replaced with smaller versions of the same thing. You might also consider replacing single-use kitchen items with gadgets that have multiple functions. A bulky traditional blender can be replaced with a smaller Magic Bullet blender. A waffle maker can be replaced with a multi-functional Griddler. A slow cooker can be replaced with a 7-in-1 Instant Pot. These smaller multi-use items will allow you to get the exact same things accomplished without using so much of your cabinet and counter space. The final step is moving everything into the RV. 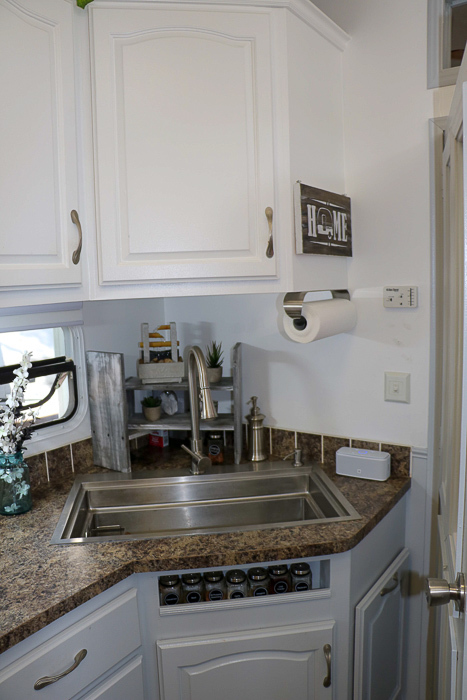 However, before physically moving anything, make a note of what you need to store in the RV, along with the cabinets and drawers you have at your disposal. Sit down and figure out where each and every item will live, ensuring there is a place for everything before you ever lift a finger. Doing this will help reduce stress during moving day, as you will be able to put things away immediately and won’t be left with a pile of stuff on your tiny living room floor. Planning ahead is also helpful because it will give you a chance to figure out what kinds of storage and organization products you need to buy. Here are some of our favorite storage products. Over-the-door storage pockets for storing small items such as toiletries. IKEA TRONES wall-mounted storage boxes for toys, shoes, books, and tools. Plastic drawers for making tall cabinets more useful. Well-sealed tubs for keeping in storage bays. Dish stacking shelves for keeping dishes tidy. Can also be used for organizing craft items, among other things. Command Hooks and Command Strips for hanging photos, pot holders, water bottles, mugs, bags, jackets, and more. Hanging fruit basket for produce storage. Hanging hammocks for stuffed animals. Also good for bedding storage during the day. Non-slip cabinet liner to keep things in place. Magnetic spice rack and magnetic knife rack. IKEA FLISAT wall storage for books and toys. Lazy Susan for deep cabinets. Hanging wall file and/or bulletin board for important papers. Of course, not all of these items are useful to all people or in all rigs. Carefully consider what you really need before making a purchase in order to avoid wasting time and money. 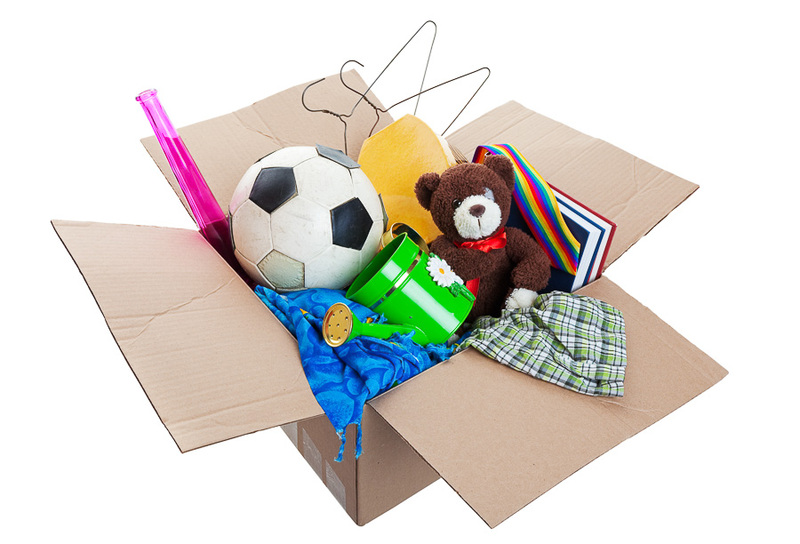 When paring down toys, give kids a box or some other container they are allowed to fill. Let them know that they may only keep what fits in that box, meaning you will likely need to implement a “one thing in, one thing out” policy. A capsule wardrobe (or something like it) is ideal for tiny living. This involves choosing a single base color—such as black, brown, or navy—and owning a few key items in that color. All other items must mix and match with these key items, meaning you can keep just a few things but have plenty of different outfit options. Keeping books and movie in digital form can save a ton of space. Subscription services such as Kindle Unlimited and Scribd can help ensure you always have new things to read, and streaming services such as Netflix and Hulu are great for keeping your movie and TV show options fresh. Another great option is to use your library card to borrow books and sometimes even movies from the Overdrive app. 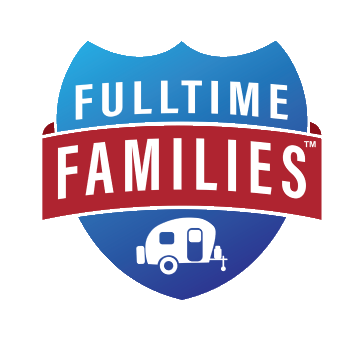 Hopefully, this article helps you feel more confident as you dive into the simple yet rich world of RV living. Taking those first steps may feel overwhelming, but once you do it you’ll never look back! 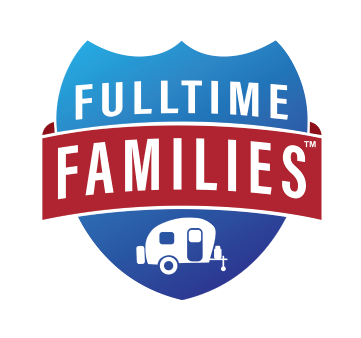 What steps did you take to get started RVing with your family that you found helpful? Share it in the comments below!